Mirrors are a marriage of form and function. A good mirror is a tool, a design element and a work of art that enhances your home décor. When selecting a mirror for your home or office, the right size, shape, and frame style is important for both its usefulness and its enhancement of the room. 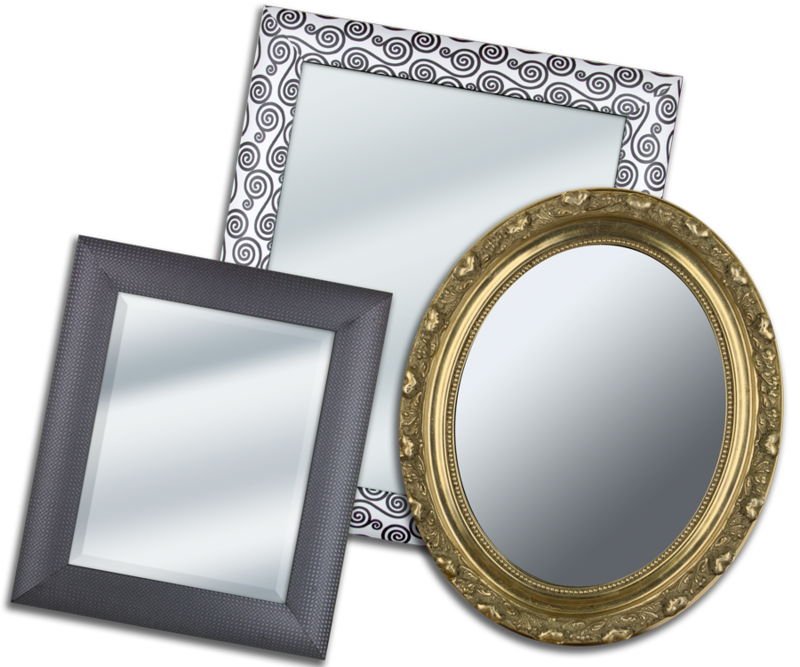 The framing specialists at Frame It/ Waban Gallery can help you design a full length mirror for your dressing area, a wall mirror to enhance the spaciousness of a room, a vanity mirror to work with your bathroom, or a decorative mirror to add elegance to any space. We can customize your mirror with flat or beveled mirror glass, square or oval frames, and combination mirror/ picture frames. If you have a larger design project with multiple mirrors, assorted frame styles or difficult wall spaces, we can help with that too! Please visit the Frame It/ Waban Gallery showroom for a consultation with our designers and to see our full selection of framing options, or contact us at (617) 964-2161 or info@frameitwaban.com for more information. We also offer installation in the Metro Boston area, so you can be certain that your custom mirror is in the best spot for your needs, and will hang securely for as long as you want it. If you need something quickly, or just want to find some inspiration for your own custom mirror, we also have a large selection of ready-made mirrors for sale. Please click the button below to see the mirrors we have in our showroom.